In the social media age, content is literally at our fingertips all the time. Platforms like Instagram, Twitter and Facebook make it simple to see what your best friends, idols and favorite stalk subjects are doing at all times. When it comes to skateboarding, Instagram’s skateboard content is mind-boggling. 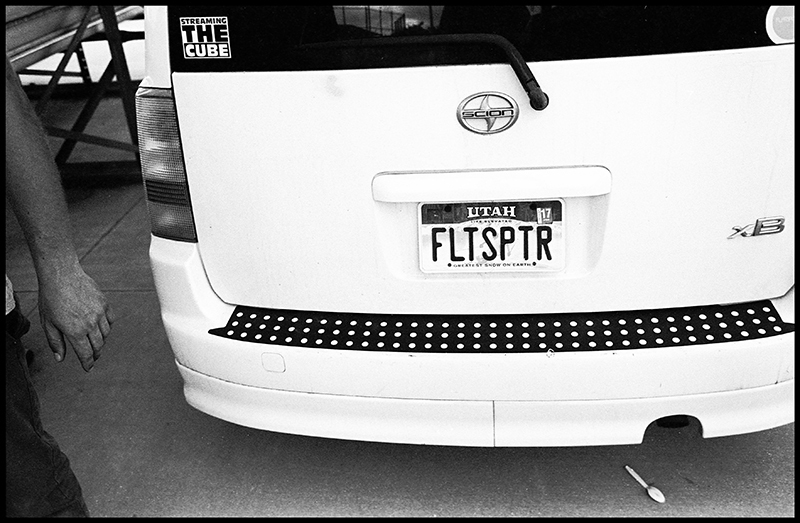 If you are a Utah local skater, chances are that you are part of the 33,100-plus people following @Flatspotter. An organically grown and natural evolution that came from the love of skating and videography has become one of the biggest and (in my own personal opinion) best platforms to see your favorite local skaters at your favorite local parks, absolutely killing it. Mastermind of the lens Dustin Hill and longtime friend and business partner Bryce Parkinson are the enveloped whole that is @Flatspotter. While Hill takes the cake on the filming, Parkinson is the man behind the scenes pushing fresh wood, wheels, soft goods and whatever other items the duo can dream up. What started as a platform to upload videos and get the community hyped is now a killer team of rippers (pictured here), a line of skate products (available at your favorite local shops) and still an engaging and active community with whom to share skateboarding. @Flatspotter was born out of love and thrives on that love—and the duo agrees that it’s something skateboarding needs more of. With A combined 39 years of skateboarding under their belts, both Hill and Parkinson are no strangers to the industry. From @Flatspotter’s original montage of Utah rippers and head explosions, @Flatspotter has grown up and out in many ways. “It started probably about 2012 as a video and online persona where I could share my videos (since that’s my trade),” says Hill. 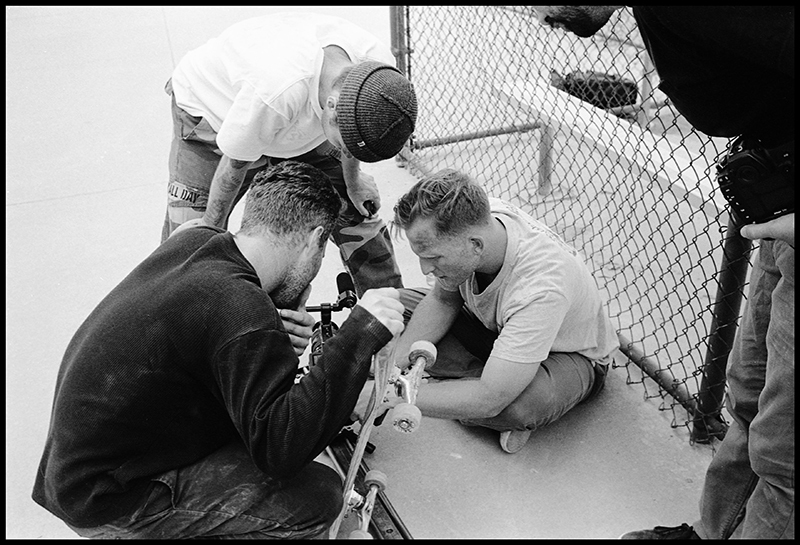 “At first, it was all about just sharing Utah skateboarding and a bunch of my friends, and there was really no outlet to share what I was already filming. 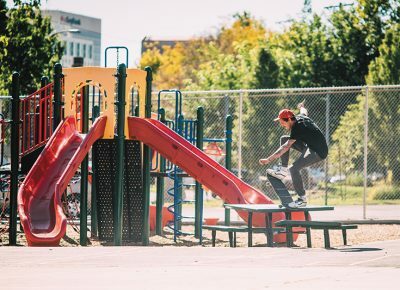 It’s definitely still about Utah skateboarding, but now we have the team and we are pushing boards, so there is a lot more direction and focus.” Parkinson, on the other hand, who is the former owner of Shortbus Skateboards, joined in the movement roughly three years back with the idea and resources of putting wood to the streets. “It started with some wheels, and then Dustin talked about doing some boards, so we just came together since we were both pushing towards similar things,” Parkinson says. @Flatspotter has been a slow progression of what it is today. “It’s all come about in such a non-traditional way”, says Hill. “There was a website, then the Instagram and social media side went crazy, and now we have product and a team, so it’s all come very organically and kind of randomly,” Hill says. 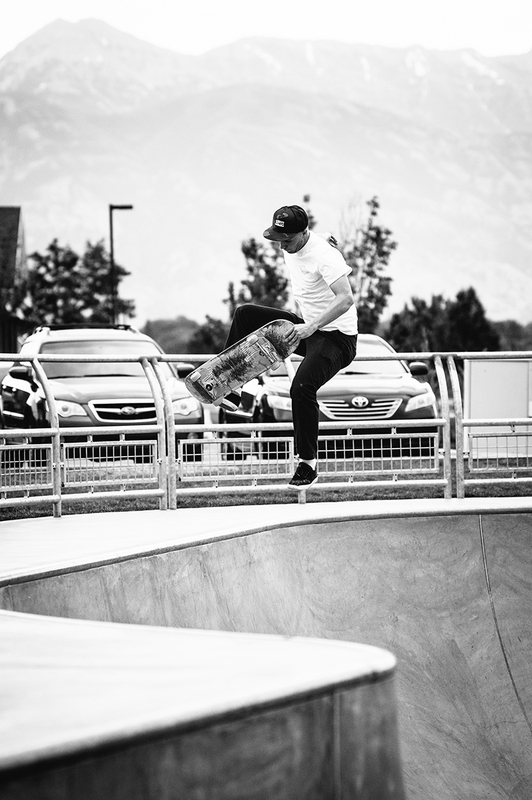 “Now we feel like we have a real board company and a team and an actual direction.” With products comes a financial responsibility, but both Hill and Parkinson agreeably say they are still about keeping the Utah scene hyped, especially on the social media side of things. Thaynan recently went pro for Enjoi Skateboards. He was surprised by the news at this very spot by friends and teammates with his pro board. I’ve admired his raw talent and unorthodox approach to skating for several years now, especially when I saw his Oververt part. I knew that in going to such an iconic city and spot, I would likely run into a few pros, but it was great to come across someone who was as friendly and fun to watch as he is. Both of these tricks were part of longer, far more tech lines, but there are few things better than classic tricks done at a classic spot, with style. 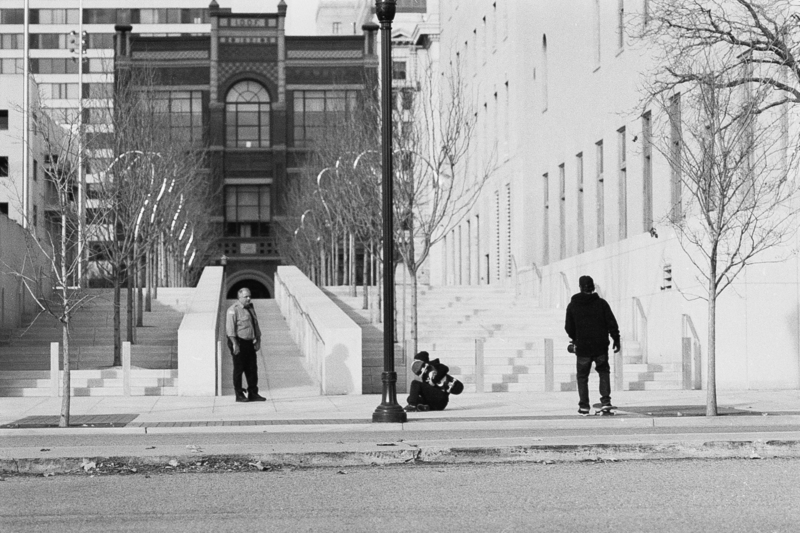 Skate Photo Feature: Rocky Hudson Jr. Some people just own certain tricks. 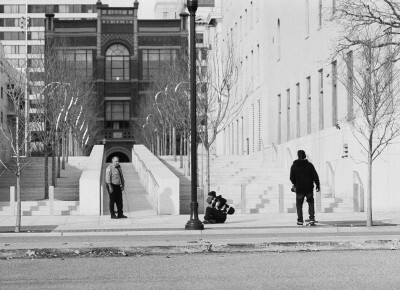 Ray Barbee (no complies), Tom Penny (switch frontside flips), Brandon Beibel (nosegrinds). Rocky owns this trick. I don’t think I’ve seen anyone do it any better in person. 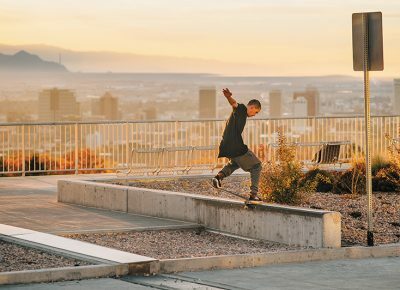 He can no doubt do it on much taller and longer ledges, but regardless of the obstacle, he makes it look better than anyone in the city below. This is not a classic California mini–picnic table (those iconic symbols of schoolyard skateboarding). But it’s about as close as you can get to one in Salt Lake City. Between work, school and the mountain of art Jared “Snuggles” Smith is producing lately, he found a short window to come shut this table down. Within about a half hour, he landed seven to eight tricks on it, including this noseblunt to fakie to cap off a line. 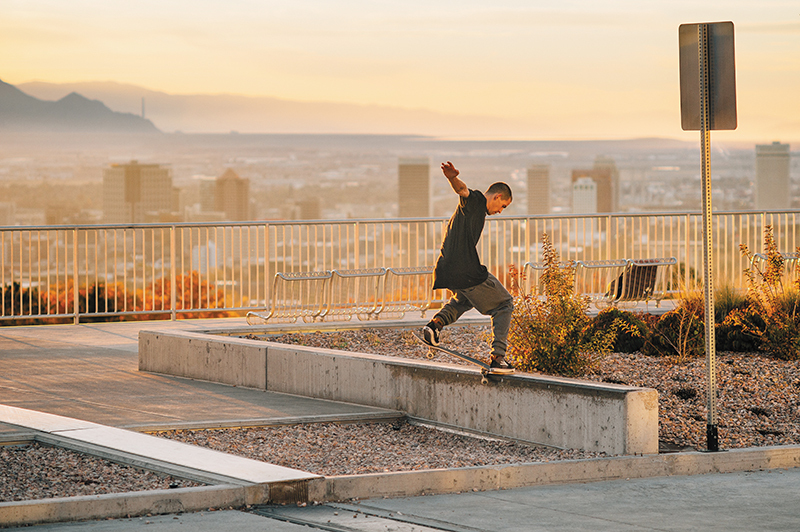 It was rad to watch a new take on a classic Avenues spot in Salt Lake City. Sam Hubble battled this rail. Not only is it super tall with an awkward run up, but it’s unstable, so it would wobble like crazy every time he got on it. Those things would be deal-breakers for most skaters, but it shows how he approaches everything that he skates differently. It wasn’t long before he was riding away. If you’ve ever seen Kevin Hutson skate in person or have seen footage of him, you’ll know that he’s a super-creative and technical skater. This is a simple trick for him, but he shows that when simple tricks are done right at a well-chosen spot, they still prove to be timeless. Every skater knows the feeling. Getting a trick at an amazing spot that is nearly impossible to skate provides a unique sense of satisfaction. Unfortunately, we all know the other side of it as well. 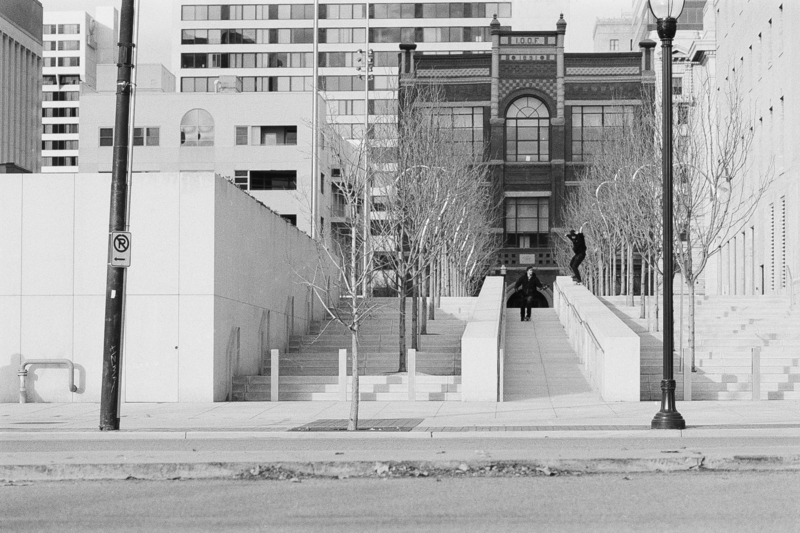 With Erik Jensen filming, Mark Judd of After Dark Skateboards attempts an extra-long nose manual at the new Federal Courthouse in Downtown SLC. It only took two attempts to alert security, robbing him of the landing. You win some, you lose some. But knowing Mark, this ledge hasn’t seen the last of him. I didn’t think I’d see anyone even attempt this gap when a crew of seven or eight rolled up on it. 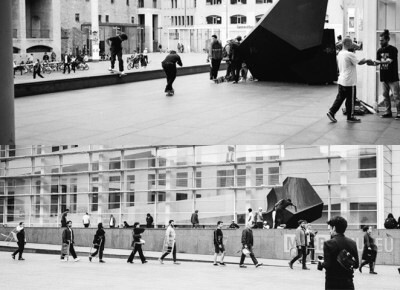 Most skaters just laughed at it—it’s really big … and awkward. It has an uphill runway where you are blind to the landing most of the way up. Clark Thomas punished himself with multiple attempts before getting the make.